New Delhi: Mahendra Singh Dhoni guiding India's world-class spin pair of Kuldeep Yadav and Yuzvendra Chahal from behind the stumps is well documented. And the same is evident when he is guiding his bowlers in Chennai Super Kings during the Indian Premier League. But talk of team meetings and planning before a game, and MSD would rather skip them. Speaking to IANS, Suresh Raina said that Dhoni's biggest strength is his ability to stay in the present and improvise on the spot looking at how the game is panning out, even in a fast-paced format like T20 cricket. Having been an integral part of the Indian team under Dhoni as also the CSK unit, not many people have followed 'Captain Cool' closer than Raina. 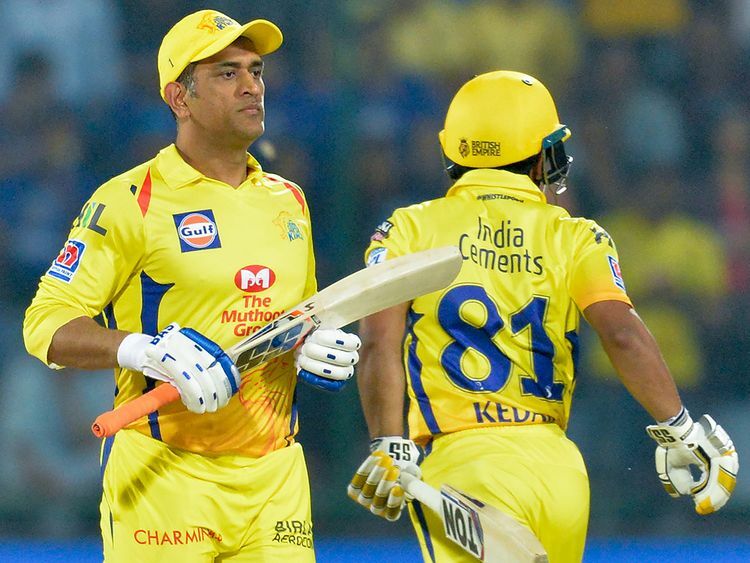 While he refuses to compare Dhoni to the likes of Virat Kohli and Rohit Sharma, the batsman believes that Dhoni's strategic skills puts him a step above rest. "Every captain is unique and they all bring their interesting set of skills to the game. Having said that, Dhoni has been consistent with his impressive game strategies and that has converted to multiple wins over the years," he said. Raina is called 'Mr IPL' for a reason. And it was on display again at the Ferozeshah Kotla here on Tuesday. Even as most batsmen struggled on the slow and low wicket, Raina hit a whirlwind 16-ball 30 to bat Delhi Capitals out of the game. With more than 5,000 runs to his name in the IPL - the only batsman to breach the mark in the league - Raina has shone in every single edition of the tournament. But the middle-order batsman feels the responsibility on one of the most successful IPL teams is even more this time. Raina said that it has been a dream journey for the franchise as they returned from a two-year suspension to lift the trophy in 2018. They are now looking to be the only team to win the tournament back-to-back twice (CSK had earlier won in 2010 and 2011). While the team has done well, Raina has been an integral part of the journey. Commenting on his ride in the league, Raina said: "I have always focussed on having my head in the game. The centuries, dismissals, trophies - they're bonus points really. For me, what really counts is if I have been able to assist my team in winning a match. This attitude has helped me get where I am today. "To me, it doesn't matter what position I'm batting in. It's always about if I am able to contribute significantly to my team's success - whether it's the runs, the catches, or fielding." A highlight of CSK's journey in 2018 was how despite being a unit with the oldest average age in the tournament, Chennai didn't let that affect them. While the debate continues, Raina says the team isn't on the wrong side of 30. "It's the perfect side of 30, I'd say. Our fielding has been on-point and we've proved it time and again." While people keep trying to understand the secret behind CSK's incredible journey, Raina says it is all about knowing each other's strengths and weaknesses. "I think, we know each other's strengths and weaknesses pretty well and share a healthy team culture, which keeps the positivity going. This helps us keep our focus on the game. Also, the management team is fantastic; they are like family to us," he said. Commenting on the fairytale journey in 2018, Raina said: "No secrets really. We knew we had to prove ourselves, earn back the love we've been showered with all these years. And so, the focus was on bettering our game, not to concentrate on the tabloid news and give every moment on the field, our best shot."